Note: Back in the day, I wrote a book called TROPHY HUSBAND, and though it’s no longer available for sale, the characters of Chris and McKenna seemed to demand another chance in the spotlight. 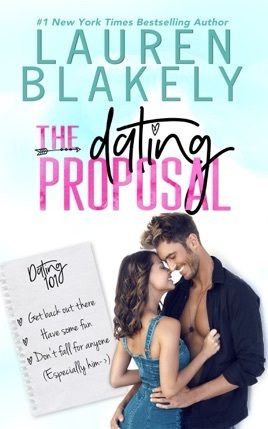 THE DATING PROPOSAL is a complete reimagining of their romance, with 85 percent brand-new material, a fresh plot, and vastly expanded characterizations so you can come to know and love Chris and McKenna like I do. Enjoy!